ABU DHABI(WAM) —Ibrahim Al-Abed, director general of National Media Council said on Nov. 17 the UAE has always played a positive and constructive role in international affairs, and neutrality has been a key principal of its foreign policy. Commenting over closure decision of GEO and ARY TV stations taken by Dubai Media City, he said that "the UAE has been an advocate of international law and an active contributor to peace and stability in the region," adding that In the light of the current sensitive state of affairs in Pakistan, the UAE can only assume its responsibility and maintain its neutrality." 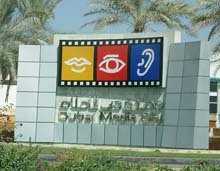 Al-Abed reiterated that the closure of the two TV stations is coherent with the foreign policy of the UAE. Amina Al Rustamani, Executive Director of Dubai Media City said that "As an entity within the UAE, Dubai Media City would also observe the broadcast principals of the country's foreign policy and prevent the telecast of news and material that would undermine those principles." She noted that Geo TV and ARY digital are respected business partners in Dubai Media City for several years, pointing out that "Our relationship with them has been strong and friendly. We are in discussion with them in regard to the telecast of their news components and we are confident we will resolve this matter in the best way possible to protect their interests and those of the UAE."